Jackson Farming Company and our growers are committed to growing, packaging and shipping the best quality produce. 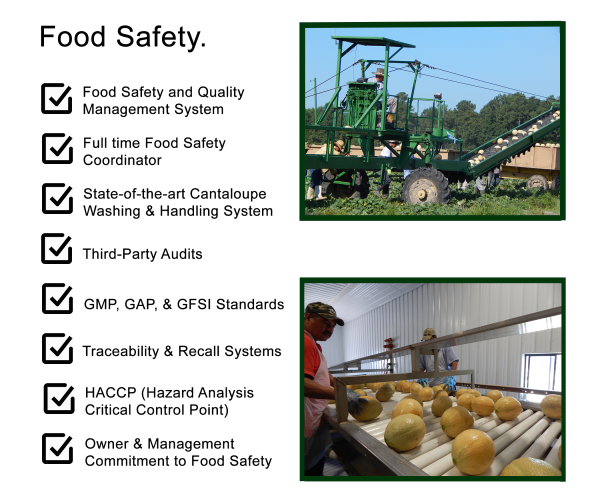 Being a leading produce company in Eastern North Carolina, we take food safety extremely seriously. Our process ensures that all safety standards are double-checked and adhere to the commodity and growing region regulations.